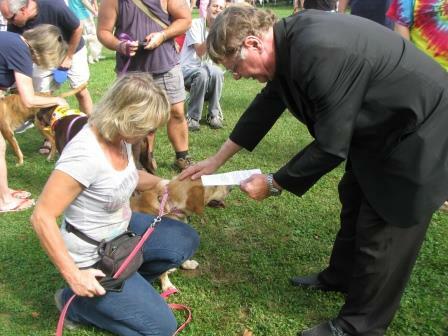 St. Stephen's Lutheran Church, Bethlehem, will conduct a Blessing of the Animals ceremony. in the heart of the quaint town of Macungie, Pa.
Come and spend some time with us! We're a laid back pet fair with a focus on providing a place for people and pets to mingle with each other. It's always a great day to be a dog at Barktoberfest! You'll also get to know what some of the local rescues are doing and how you can help them in their shared mission to find forever homes for the animals in their care. Many of the rescues bring dogs and cats available for adoption, so you may even find a new furry companion! Check out new fashions and goodies for your pet. Find a new groomer or a pet sitter. And there are vendors who sell items for you, too ... usually with a pet theme. To see the many and varied vendors who have taken part in Barktoberfest Pet Fair in the past years, visit the Participating Vendors page. 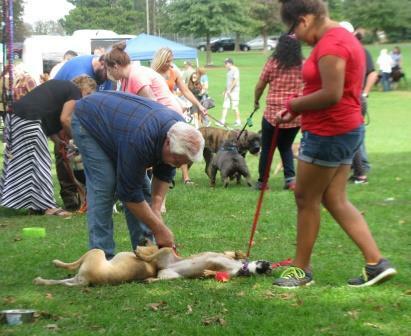 When you come to the pet fair, you can enter the park from either the main entrance on North Walnut Street or from Main Street (turn onto Poplar Street). 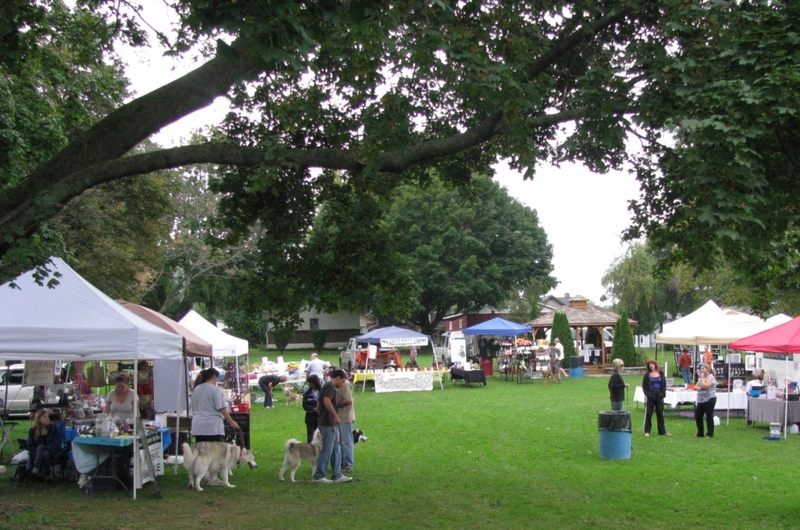 In the beautifully-maintained park, the pet fair is located in the expansive tree-lined area next to the large main parking lot. Public and vendor parking is also permitted on the grassy areas surrounding the event area. A food stand and clean public restrooms are conveniently located in the basement of the large park building adjacent to the main parking lot. We hope to see you at this year's Barktoberfest Pet Fair!